Make reading a pleasure with comfortable library seating from Hertz Furniture. How can you make a library more inviting? Our wooden chairs provide a great place to sit down and study, inviting people to step in and take advantage of your reading room. Great library furniture can really transform your space. 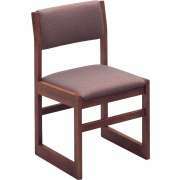 Library chairs come in a selection of sizes, styles and finishes. 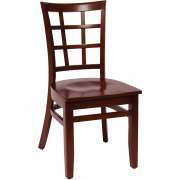 There are wood chairs as well as more contemporary models. 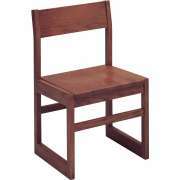 With a great selection, you can easily coordinate your seating with other furniture and provide students, teachers and other patrons with an excellent place to sit down and study. 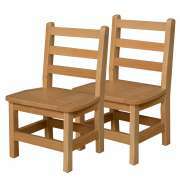 What kind of chairs should I get for the school library? When it comes to library seating, color and style preferences are entirely a matter of taste. 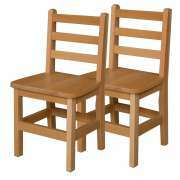 Library chairs come in a choice of natural wood finishes. It you really want a space to look nice, you can coordinate chair finishes with bookshelves and reference desks. 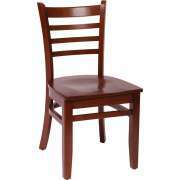 We also offer vibrant chairs with bright accents which will liven up any study space. Colorful chairs will fit in well in a school library or any space that caters to children. In order to determine what the ideal style is, you should consider what will match with the other library furniture you have chosen and what kind of image you want to project. How can I make a library elegant and classic? 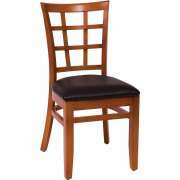 Classic library chairs have an elegant appeal that lends a stately charm to any room. 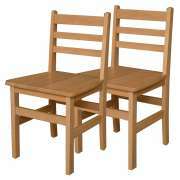 Double-saddled seats and steam-bent slatted backs are supportive, sturdy and appealing. Their understated and decidedly studious air will help patrons concentrate and enjoy the literature they are perusing. Size is another important consideration. If you serve patrons of a number of different ages and grades, it is important to make sure that they can all sit comfortably. 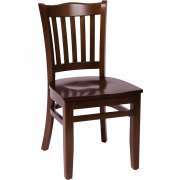 You also want to make sure that wooden chair heights are proportionate to table heights. In order to ensure that all patrons are comfortable, choose wood chairs in a variety of sizes. When there is a library chair to sit in that is the right size, people will get a lot more enjoyment out of the space, stay longer and come more often. 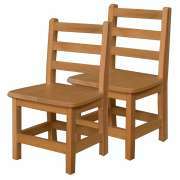 What kind of chairs should I put in the children&apos;s section of the library? 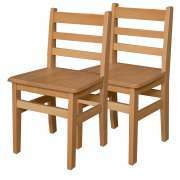 KFI Educational Edge library chairs offer great seating for students young and old. They are an excellent choice for a children&apos;s library or early-childhood section. When your library has appropriately-sized seating, little ones will be encouraged to dive into the world of reading and explore literature. 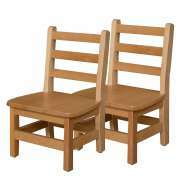 Another great option for children&apos;s chairs is the ladder back hardwood chair from Wood Designs. Unlike regular adult library furniture, all Wood Designs furniture is designed for the health and safety of your young learners. It features a non-toxic natural finish and rounded corners and edges which prevent injury. 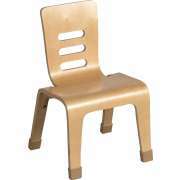 The design offers the appeal of a classic adult library chair in a size that is suitable for children. If your library is carpeted, it is a good idea to consider sled-base chairs. wooden chairs with four legs can sometimes get caught on rugs and cause snags. Sled-base chairs glide noiselessly and easily over carpeting without causing damage. They also have a sleek cohesive look that fits with a well-organized book collection. Where can I get comfortable library chairs? Looking for something that is a bit cozier than hardwood? Upholstered library seating from from Georgia Chair and Russwood features natural wood finishes with complementary upholstery. Fabrics are available in a variety of colors and patterns, so they can be coordinated with paint colors or other furniture. 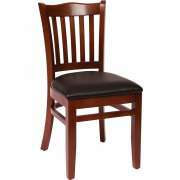 Order one matching pattern for all of your seating or choose a number of complimentary designs. When sitting and reading, it is sometimes tempting to lean one&apos;s wood chair back to find a more satisfactory position. Leaning back in a regular four-legged or sled-base chair can cause injuries and damage furniture. 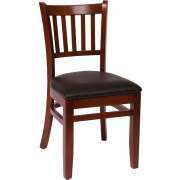 With a two-position library chair, patrons can lean back in a safe and comfortable position, without the risk of damage or injury. 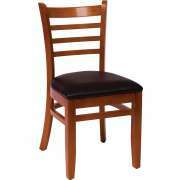 If they want to readjust to a classic upright position, they can simply lean forward. With Hertz Furniture&apos;s attractive library furniture, you can easily find the chairs you need for every part of your study space. Make sure you have appropriate wooden chairs for reading tables, computer desks, and extra spots around the aisles so patrons can sit down while browsing. Call the Hertz Design Center for free project-planning advice to ensure that your reading room is well-equipped with great chairs.